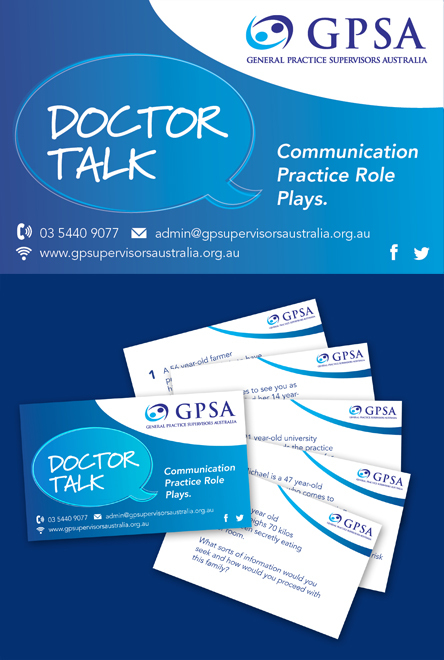 GP Supervisors Australia have developed a series of flash cards aimed at helping GP supervisors in various aspects of their work and training. Stay up to date on their release through GPSA member communications. Become a GPSA member here. GPSA Flash Cards are a great communication resource available to run through with your GP registrar as an in-practice teaching session. These are currently available to download and you are also able to purchase your own set. MDA National have put together best practice responses for each of the 27 cases in the Shades of Grey Flash Cards as well as additional resources and supporting documents. CLICK HERE to view the best practice responses. 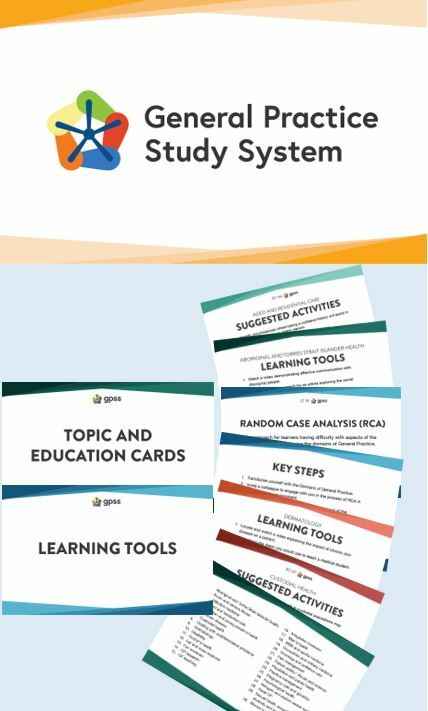 The GPSS Teaching and Learning Tool Flashcards provide you with 20 different education techniques and 30 topic flashcards to engage and teach your registrar. Each card provides key steps for each teaching method, suggested activities and core areas to cover with your registrar. They're on the fly reminders for busy GP supervisors built around the RACGP Domains of General Practice Curriculum. has been added to the cart. Continue shopping, or view your cart.